Ranger Les Judd tells us about the floods, slips and predator work that is keeping DOC rangers busy in the Whanganui region. 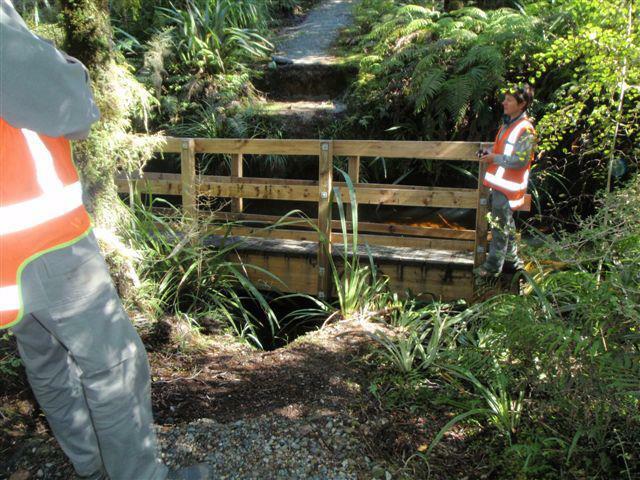 Cornelia Vervoorn from DOC’s Franz Josef/Waiau Area Office shares photos from the recent repair of a bridge damaged by flood on the West Coast. After a flood you can sometimes find DOC bridges washed miles from their original positions. What is more unusual is to find them in the same place but rotated 90 degrees. We think that is what happened with the heavy rain a wee while back. The river backed up as the lake level rose slowly, gently lifting the bridge and turning it, rather than destroying it as normally happens! 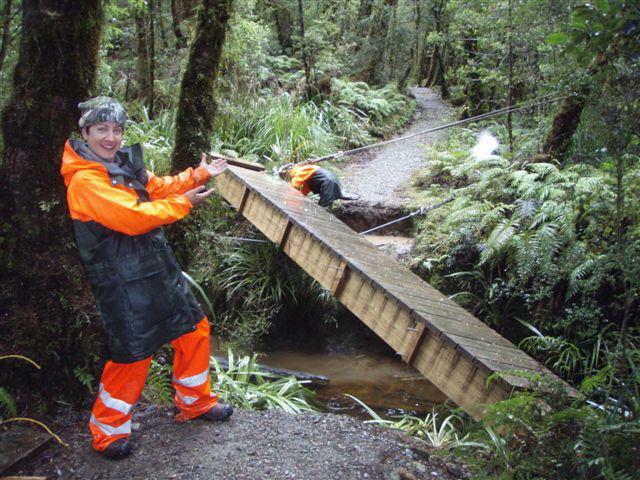 This bridge is located on the Lake Ellery Track, south of Haast. The water level during the flooding was at head height for a person standing on the track. The flood lifted the bridge and the concrete block it was attached to! The mystery of the moving bridge reminded some people of the magical moving staircases in the fictional world of Harry Potter. The mystery of the moving bridge was not as magical as some thought. DOC rangers Cheryl and John have fixed it now and are pretty pleased about it as you’ll see! 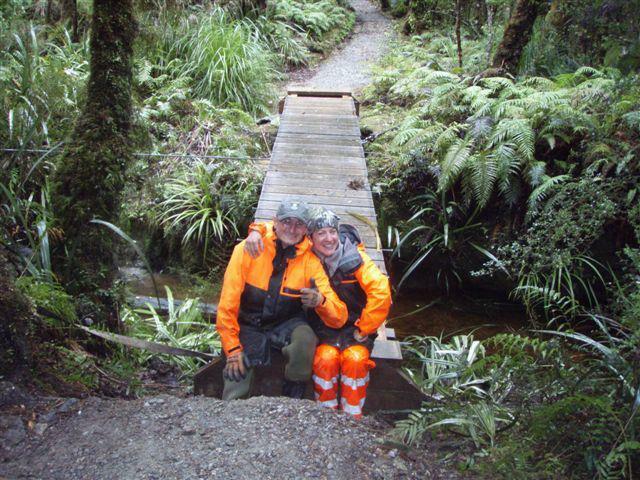 DOC rangers Cheryl and John after fixing the bridge.